Amp and guitar manufacturer Peavey has announced plans to open a swanky new showroom on Hollywood's Sunset Strip on 1 September. The firm are promising a "unique brand experience" and a "360 degree view of the products, artists and philosophy that have made Peavey an iconic brand in music and audio". Marketing-babble aside, this essentially means a fancy environment for dealers and musicians to try out top-of-the-line gear from Peavey and its affiliated brands, including Budda Amplification, Trace Elliot and Composite Acoustics. The firm is also keen to emphasise the role of Peavey Hollywood as a centre for the education of official dealers and has setup a new intern programme with the aim of training up staff from music stores across the US on all things Peavey. In addition, the firm says that part of the West Coast showroom will be dedicated to the history of the firm and its founder Hartley Peavey, who has remained in charge of his company since he started it in 1965 and is thought to be the industry's longest-running founder, sole owner and CEO. Hartley will also be making an appearance at the opening celebrations on 1 - 5 September, as will Testament guitar virtuoso Alex Skolnick and comics legend Stan Lee, who collaborated with the firm on its Marvel range (check out our review of the Peavey Captain America Predator). If you're in LA, you'll find Peavey Hollywood at 7422 Sunset Boulevard. 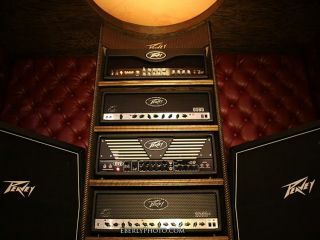 For more information head to the official Peavey site.